Even food items that don’t necessarily need to be kept at cold or warm temperatures are still subject to contamination if left unprotected in customer areas. 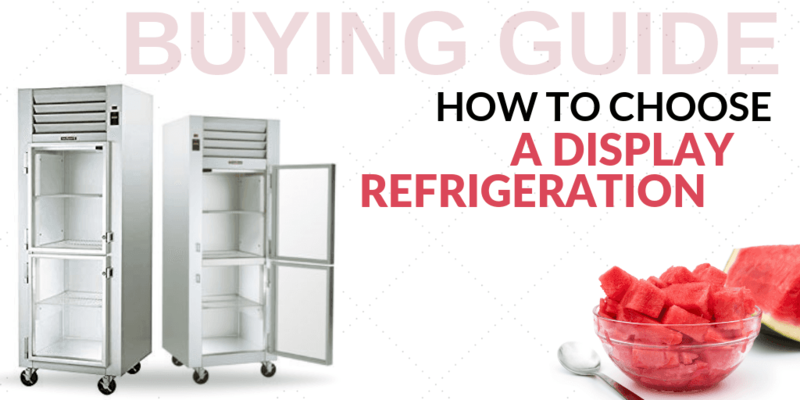 In these instances, a non-refrigerated display case is ideal! Choose from bakery or countertop cases for impulse-buy items in customer-accessible areas to capitalize on quick sales. The combination of aesthetics and food safe storage simply cannot be understated when browsing our selection of refrigerated display cases. These cases are versatile and practically essential to a variety of food service establishments including bakeries, delis, and sushi bars. Ensure that your items are displayed in an area that is heavily traveled by customers, all while keeping the items within the case stored at the proper storage temperatures. As with any merchandiser, dual temperature display cases are used in combination to display items in an aesthetic manner while ensuring proper food storage temperatures. The benefits of dual temperature merchandisers are that customers can select from a variety of food items stored at different temperatures without having to navigate from case to case. It’s like a one-stop-shop for display merchandising! Boost sales, maximize storage space and keep food fresh with food display cases from CKitchen! We’re known for our large selection of commercial cases, with styles that are appropriate for restaurants, delis, convenience stores, supermarkets, bakeries and much more. Plus, we always offer the guaranteed lowest prices, free shipping and easy financing on display cases. It doesn’t matter if need a small countertop refrigerated display case for your quick mart or a large dual-temp island case, the CKitchen team is available to help you find the perfect match. We carry non-refrigerated, heated, dual-temp and refrigerated display cabinets by only the industry’s best, including Federal Industries, Turbo Air, Hatco and more. We’ve made it simple to narrow down our selection so that you can easily identify cases that might suit your needs. Generally speaking, refrigerated display cases, often referred to as deli cases, are used to store refrigerated food items. If you need a produce, drink or bakery display case, this is the category for you! On the other hand, non-refrigerated display cases can function as showcases for foods that don’t need to be stored at a specific temperature, such as some baked goods and produce. You’ll find a retail glass display case in this category for your small, large or medium-sized operation. Dual-temp display cases are perhaps some of our most versatile styles. As their name suggests, these cases allow you to set several different temperatures within a single unit. For example, you might use them to store both dairy and fruit, because you can adjust different compartments to different settings. Lastly, don’t forget to consider our heated display cases. These are popular picks for displaying all sorts of hot foods — from your convenience store pizzas and hot dogs to large displays for pans of prepared food. Some of these units even have humidity controls to maximize flavor and freshness. The item was bought for a school. It meets ADA compliance & exceeds quality standards for everyday use in a densely use cafeteria area. Beautiful display case. I only with the shelves were larger. I've used Hatco for years in my food businesses and their reliability is unparalleled. very happy we added this to the restaurant. only positive results so far! will recommend to others. Love the combination of the refrigerated self-serve bottom with the hot serve top. Very high quality and multi-functioning piece. Highly recommended.